Cole Haan is turning nearly a century of iconic footwear inside out. The name-synonymous with timeless style and detailed craftsmanship since 1928-has become a beacon of big thinking, channeling their storied heritage into inventive engineering of the future. By integrating purposeful technology into both modern and classic designs, the global lifestyle brand has further dedicated itself to enabling their extraordinary customers to look the part and feel the part, while pushing the limits on what shoes (and beyond) can do. The company calls New York City and Greenland, New Hampshire home, but you can find Cole Haan everywhere. Visit ColeHaan.hk. Kenneth Cole is an American designer, social activist, and visionary who believes business and philanthropy are interdependent. His global company, Kenneth Cole Productions, creates modern, functional, clothing, shoes, and accessories for inspirational urban lifestyles under the brand names Kenneth Cole New York, Kenneth Cole Reaction and Unlisted, A Kenneth Cole Production, as well as footwear under the name Gentle Souls. Over 30 years ago, Kenneth Cole leveraged his passion and unique brand platform to make a meaningful impact on people’s wardrobes, as well as communities in need. He did what others did not, and said what others would not. Today, The Kenneth Cole Foundation remains committed to helping communities in need by supporting Collective Health, Civil Liberties, and Artistic Activism. Young Amedeo Testoni opened his first workshop in 1929, after having learnt the secrets of the most important Bolognese craftsmen. In the 1950’s, he improved on the traditional Bolognese production to fulfil his dream of creating the most beautiful shoes in the world. Old methodologies and unique competencies formed the basis for this company, which still takes pride in selecting only the finest materials and achieving the highest quality - without compromise. The brand’s philosophy aims for original technical and aesthetic solutions, and its history contains the prerequisites for continuous innovation and development, to affirm the future of artisan craftsmanship and ensure international recognition of modern Italian style in the world. For more than 140 years, Jockey has led the apparel industry by producing garments that connect with our spirit of adventure. Our legacy, based on ingenuity, vitality and authenticity, celebrates Jockey as a pioneering brand of progressive and independent thinking. As a world-class brand, Jockey continues to inspire a renewed sense of individuality and freedom of movement in today’s men and women across the world ultimately satisfying the human need for comfort. Jockey International, Inc. is a privately held American company, founded in 1876 by Samuel T. Cooper. 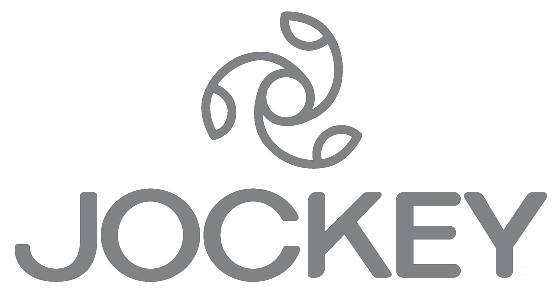 Today, Jockey is a leading manufacturer and marketer of apparel products sold in more than 147 countries. The 140-year old company is committed to quality, comfort, fashion, innovation and value. In 1974, Mr Antonio Perrotti and Mr Giovanni Starnini co-founded Tuscan’s in a bid to make a tasteful and stylish statement with premium leather. Their passion for tradition helped develop Tuscan’s into a line of leather goods which is now expanding into the Far East. Incorporating Italian attitude with Oriental style, Tuscan’s lays claim to the rich leatherwork heritage of Florence, with an aim to spark a transformation in style that puts personality and classic design to the forefront. Fashion & Joy is a Hong Kong brand of travel luggage and business accessories, designed and expertly crafted for bold young trend-setters who aspire to stylish sophistication. Geared to the needs of fashion-conscious consumers with a passion for travel, Fashion & Joy presents a collection of luggage and business accessories that juxtapose urban chic with functionality. Every Fashion & Joy product is a symbol of the brand’s core values: uniqueness, functionality and superb quality - a dazzling ‘Generation-X’ statement. Travel now sets the stage for your fashionable image. A.TESTONI SPA, the luxurious Bologna footwear and leather goods fashion company has taken a an ice-breaking step to introduce a new brand – I29 A.TESTONI. The creation of I29 is inspired by both the Italian lifestyle and today’s everyday essentials like music, travel, and sports. The “I” represents the strong sense of identity, focusing on and consequently, understanding oneself; “29” marks the year of A.Testoni’s beginnings and serves as a symbol of being follow through to the future. At the heart of I29’s collection are the colors of Bologna, red and blue, giving a twist with metallic gold and silver accent. Each line embodies the concepts and vibes of the music genre it is named after – Rock, Pop, Runk and Hip-Hop. The iconic design of I29, the “6 stars” utilizes six star-shaped studs to provide I29’s sneakers and leather goods with a universal edgy feel. While having calf leather as a core, I29 also creates variety in its materials with techno tweed and neo skin fabrics. This new concept will incorporate all these elements into comfortable, yet practical footwear, large and small leather goods, lifestyle accessories, plus a touch of Ready to Wear. Swiftly Innovation Team Openness Yes we can! Passion is at the very heart of Sitoy. We strive to stay at the forefront by improving swiftly and constantly looking for innovation. To build a great company, a great team is essential. At Sitoy, we promote openness and value opinions. We believe that this will make us thrive when we embrace everyone’s (our employees, customers, shareholders and the communities) beliefs, strengths and creativity to adopt a “Yes We Can!” spirit. Sitoy Group and its subsidiaries are one of the world’s leading manufacturers of branded bridge to luxury handbags, small leather goods and travel goods as well as a brand distributor in Greater China. The Group is principally engaged in design, research, development, manufacturing, sale, wholesaling & retailing of handbags, small leather goods, travel goods and footwear products, providing of marketing & communication services and property investment.